They’re the rarest Myers-Briggs personality type, but what is it that makes INFJs unique? Who are they? How do their minds work? What do they think of themselves? What do other people think of them? All throughout, you’ll read quotes from five different INFJs who contributed their real-life stories of self-discovery and life as the rarest Myers-Briggs type. Click here to go to the Amazon Kindle store and purchase a copy of this ebook. Just bought it. Looking forward to reading it. Thanks 🙂 I’d be curious to hear what you think when you’re finished. Indeed. I’ll comment when I am finished. I’m an INFJ too, although as I get older the F&J parts are moving closer and closer to the middle ground. 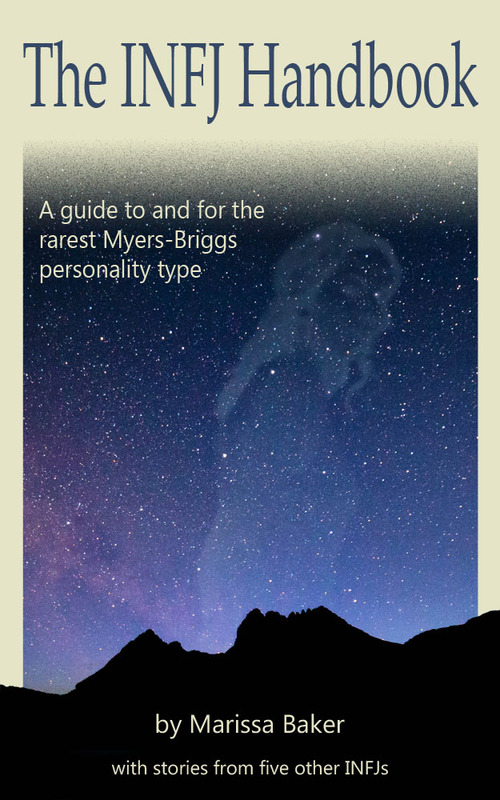 I’ve never thought to view book characters through the Myers-Briggs spectrum – interesting! Glad to hear from another INFJ! I like trying to type fictional characters — it’s not terribly reliable of course, and there’s quite a bit of debate surrounding some characters’ personality types, but I think it’s fun.